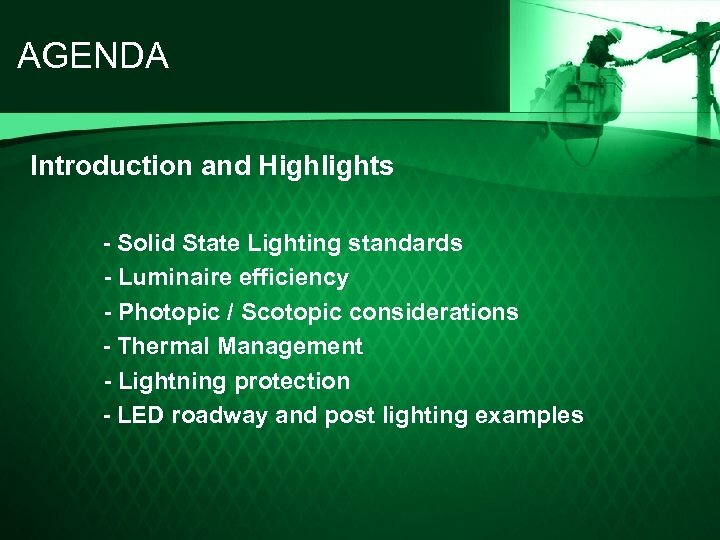 AGENDA • Of the numerous illumination platforms currently available, only Solid State Lighting offers our nation the potential to save energy and enhance the quality of our environment. 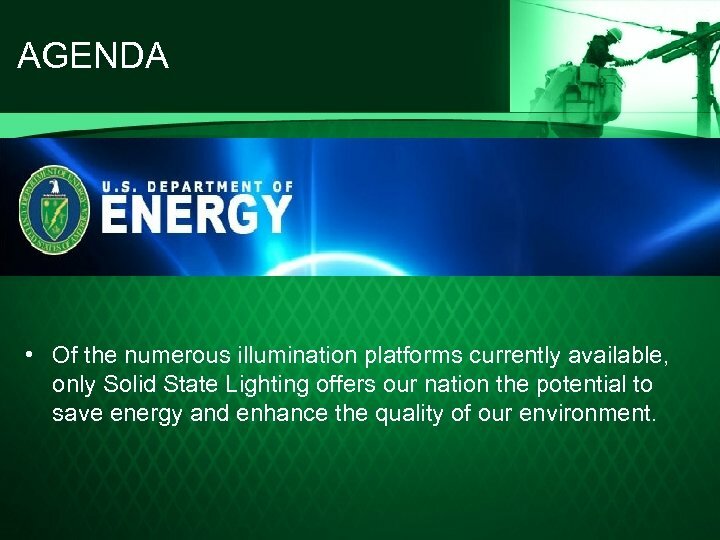 Solid state lighting standards • All lighting products used in the United States are subject to the standards governing safety and performance. 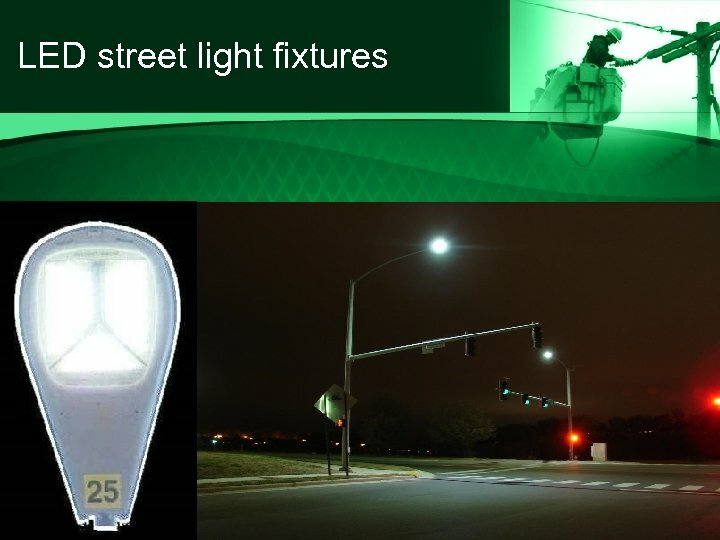 Solid-state lighting (SSL) is an emerging technology that is difficult to qualify under the existing standards covering HID roadway lighting. 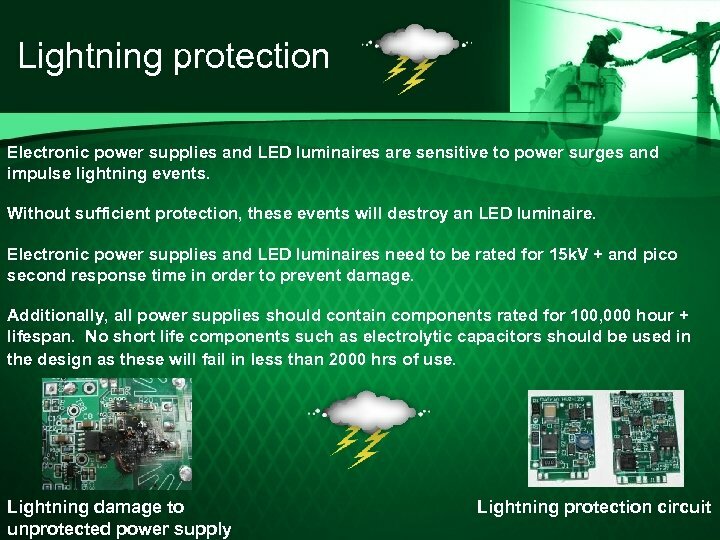 As a result, new standards and testing methods have been developed for solid state luminaires. 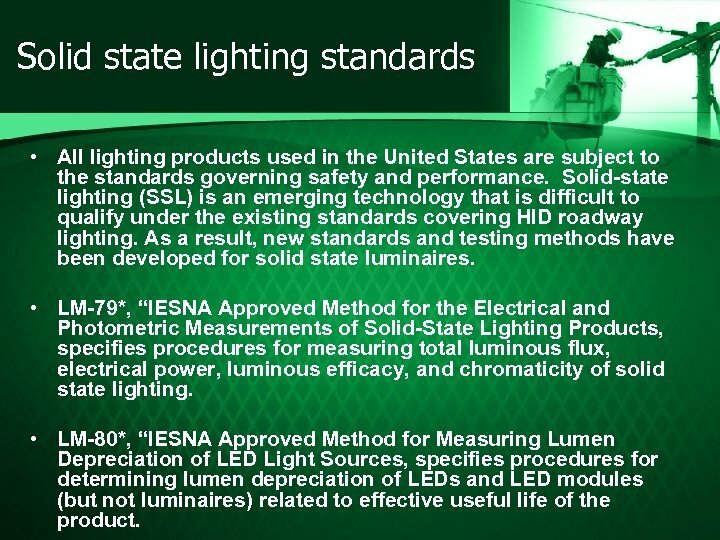 • LM-79*, “IESNA Approved Method for the Electrical and Photometric Measurements of Solid-State Lighting Products, specifies procedures for measuring total luminous flux, electrical power, luminous efficacy, and chromaticity of solid state lighting. 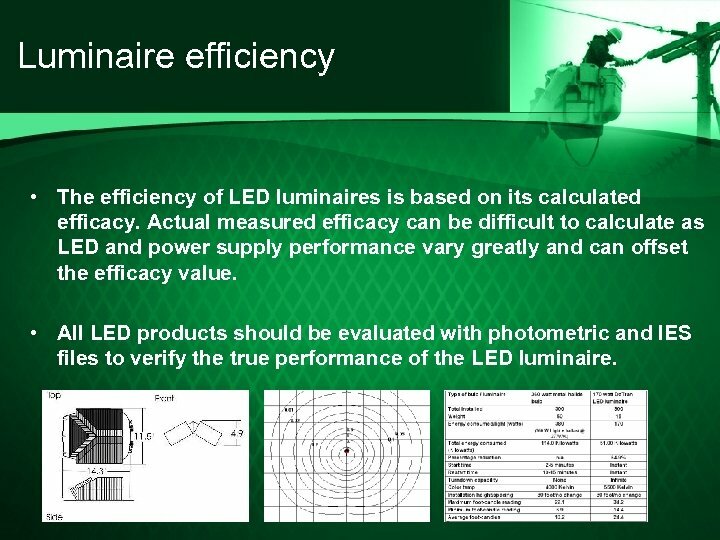 • LM-80*, “IESNA Approved Method for Measuring Lumen Depreciation of LED Light Sources, specifies procedures for determining lumen depreciation of LEDs and LED modules (but not luminaires) related to effective useful life of the product. 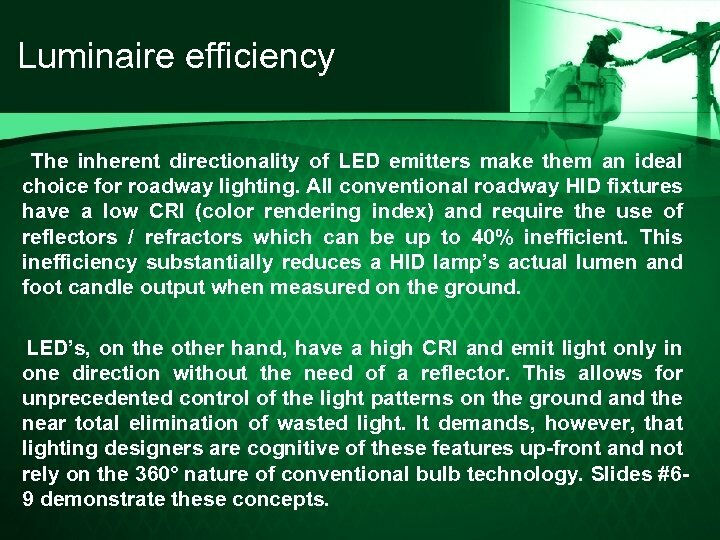 Luminaire efficiency The inherent directionality of LED emitters make them an ideal choice for roadway lighting. 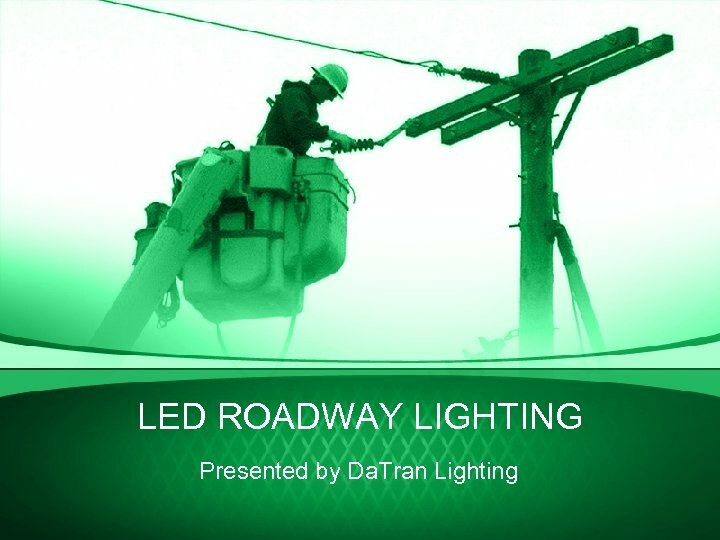 All conventional roadway HID fixtures have a low CRI (color rendering index) and require the use of reflectors / refractors which can be up to 40% inefficient. 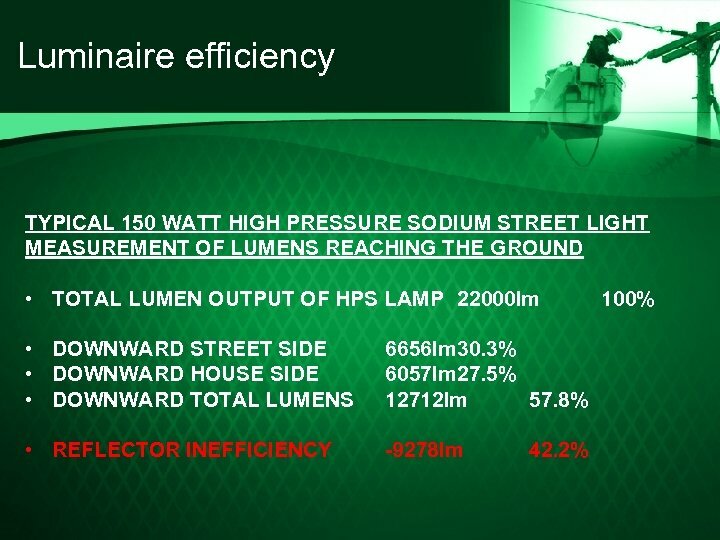 This inefficiency substantially reduces a HID lamp’s actual lumen and foot candle output when measured on the ground. LED’s, on the other hand, have a high CRI and emit light only in one direction without the need of a reflector. 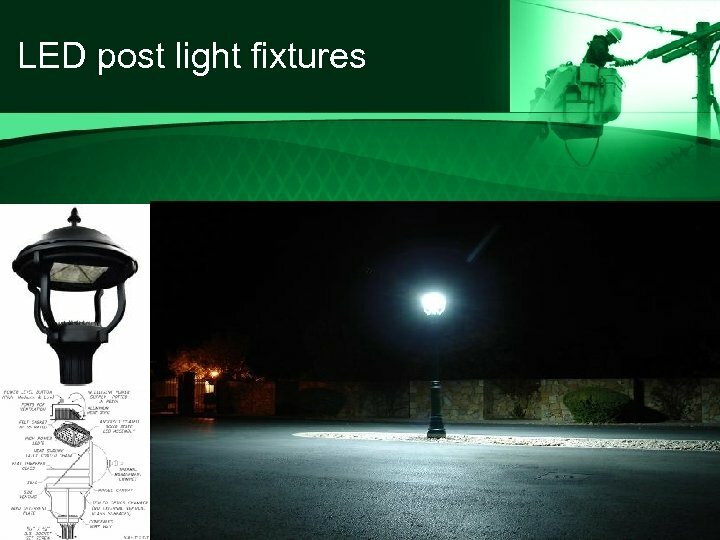 This allows for unprecedented control of the light patterns on the ground and the near total elimination of wasted light. 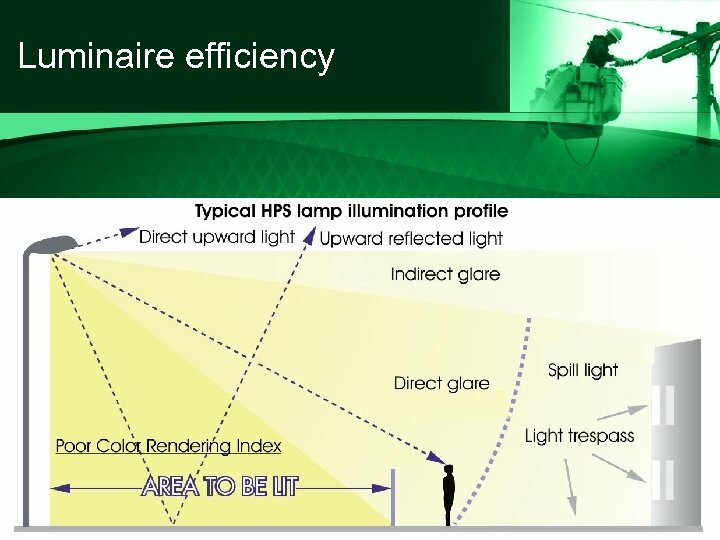 It demands, however, that lighting designers are cognitive of these features up-front and not rely on the 360° nature of conventional bulb technology. 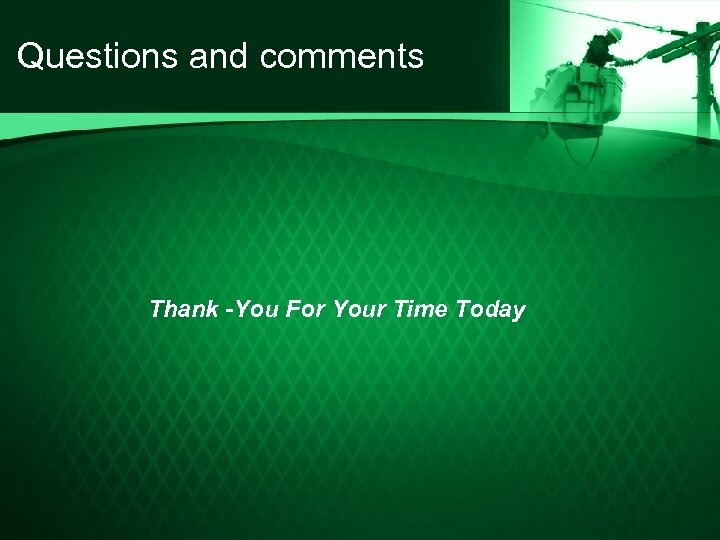 Slides #69 demonstrate these concepts. 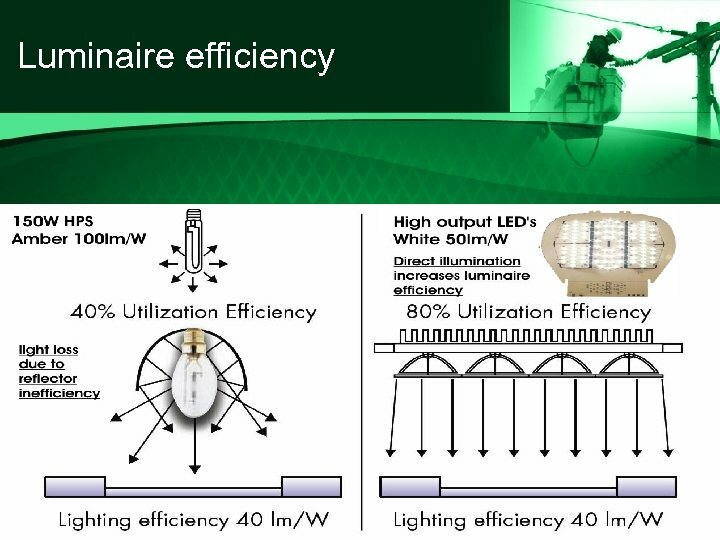 Luminaire efficiency • The efficiency of LED luminaires is based on its calculated efficacy. 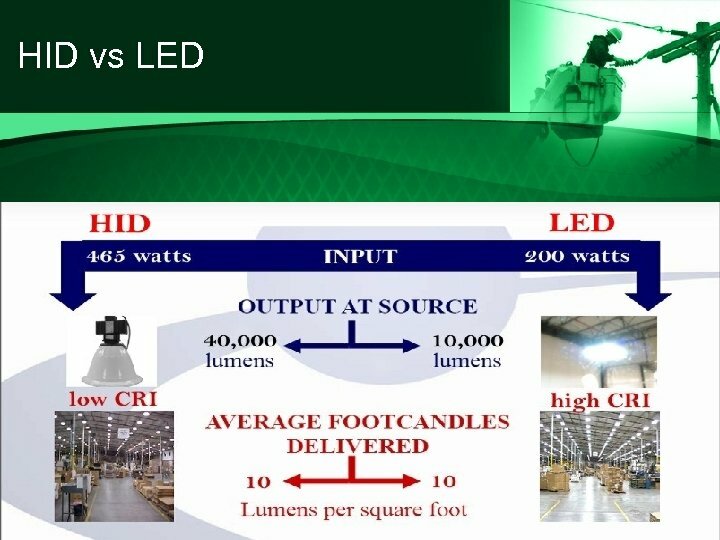 Actual measured efficacy can be difficult to calculate as LED and power supply performance vary greatly and can offset the efficacy value. • All LED products should be evaluated with photometric and IES files to verify the true performance of the LED luminaire. 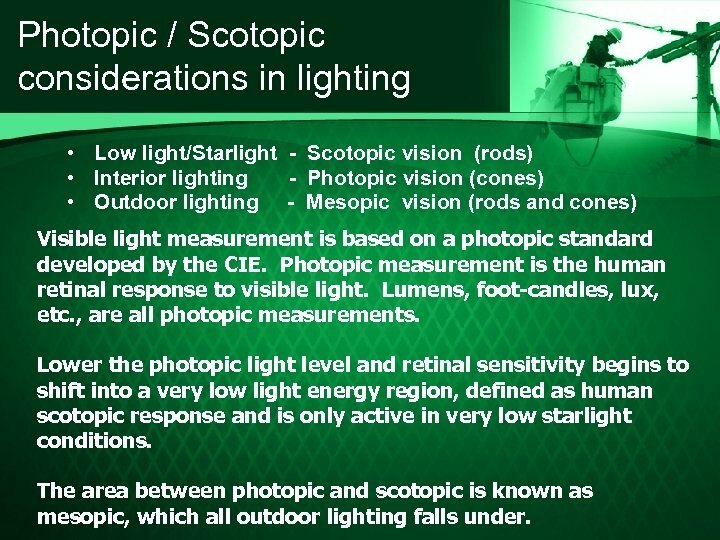 Photopic / Scotopic considerations in lighting • Low light/Starlight - Scotopic vision (rods) • Interior lighting - Photopic vision (cones) • Outdoor lighting - Mesopic vision (rods and cones) Visible light measurement is based on a photopic standard developed by the CIE. Photopic measurement is the human retinal response to visible light. Lumens, foot-candles, lux, etc. , are all photopic measurements. Lower the photopic light level and retinal sensitivity begins to shift into a very low light energy region, defined as human scotopic response and is only active in very low starlight conditions. 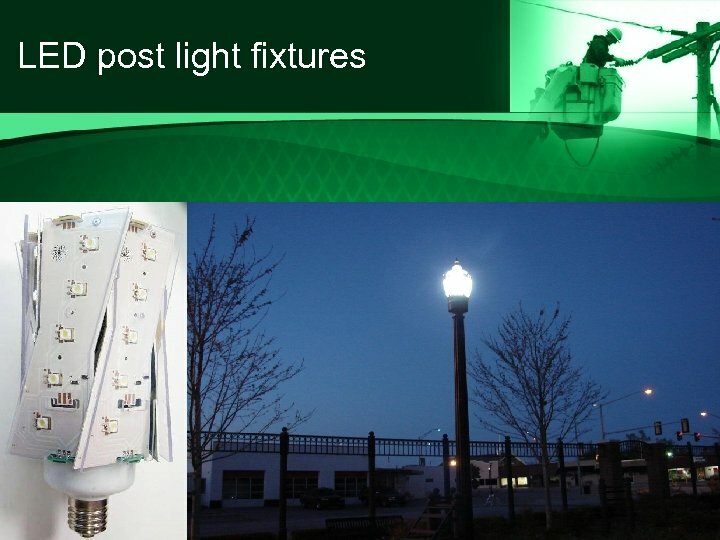 The area between photopic and scotopic is known as mesopic, which all outdoor lighting falls under. 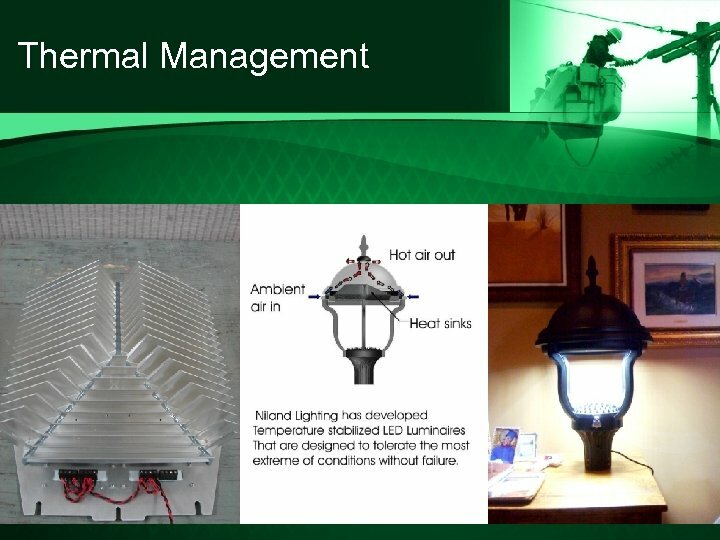 Thermal Management • Thermal management and an awareness of the operating environment are critical when considering an LED luminaire for general illumination. 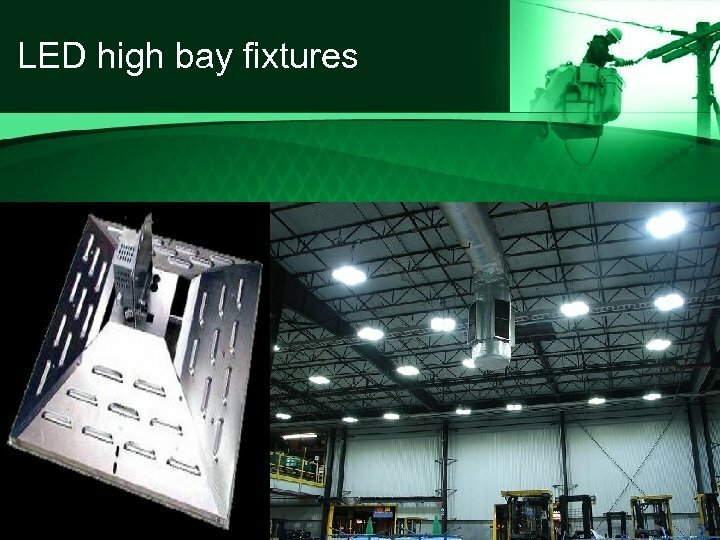 • Successful LED luminaires will employ adequate heat sinks and an Advanced Processor based Thermal Management System that prevents the LED’s from overheating. 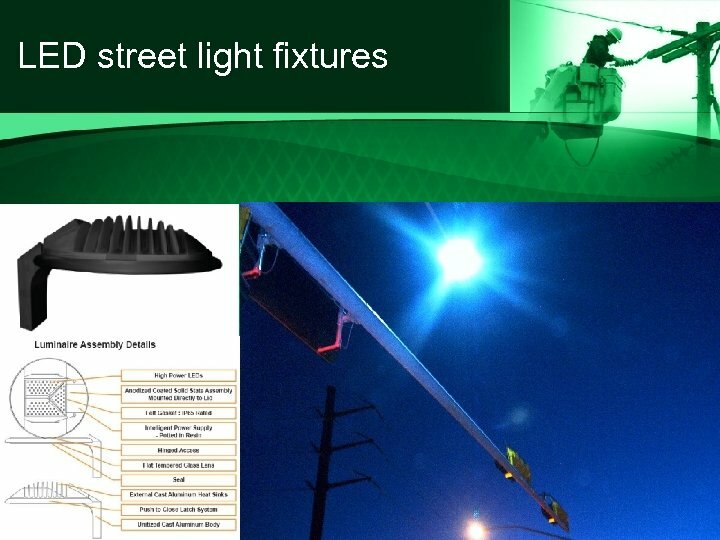 • Maintaining the LED junction temperature as low as possible and within the manufacturer’s specification is necessary in order to maximize the performance and longevity of post and street light luminaires. 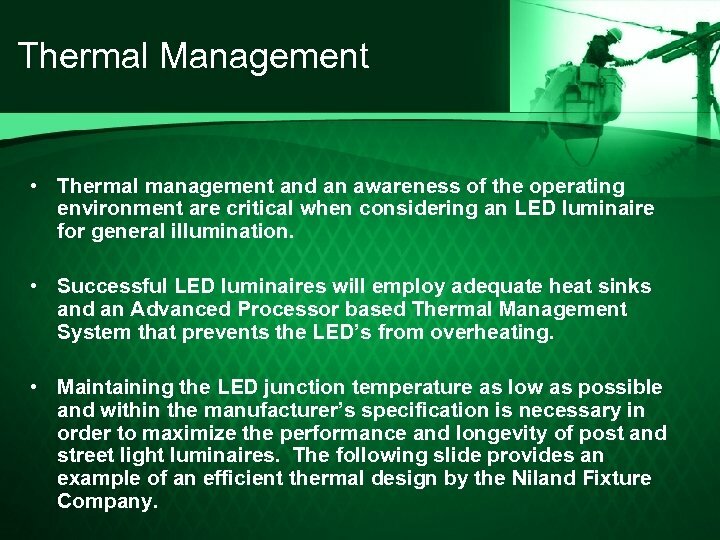 The following slide provides an example of an efficient thermal design by the Niland Fixture Company.